What a joy it is to be surrounded by fresh flowers in the home. But who has the time to do it these days? In response to many requests Texas Flower ‘Rangers has developed a very discreet and personalized home service where our professionally trained staff come to you and arrange beautiful, fresh flowers in your home. Spoil yourself with this luxurious weekly service and enjoy the beauty and calm that flowers evoke. 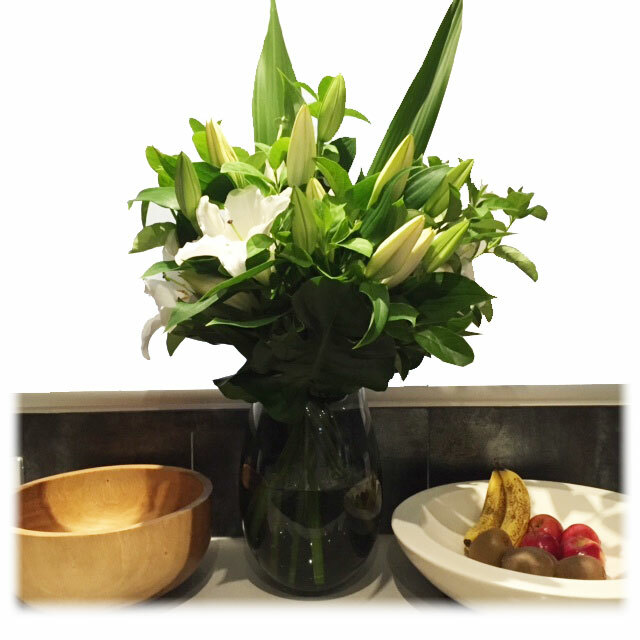 Our staff are chosen for their trustworthiness, friendly nature as well as their expert floristry skills. Speak to our home service specialist today. Dear Linda, Many thanks to you and your creative and professional team for filling my home with beautiful flowers each week. Love the way everything looks. Love the service. I have always enjoyed having fresh flowers in my house. I am a complete novice and lack the flair and experience of somebody like Linda. My sister-in-law who has been using Texas Flower ’Rangers for a number of years recommended her to me. She came to my house looked at my furniture and my layout and made some valuable suggestions. Since that day about four years ago Linda or a staff member has come to the house once a week with the most beautiful display of flowers that one could imagine. The varieties, colours and designs vary from week to week. Linda has the best resources of fresh and stunning flower arrangements. She is a great communicator, always comes on time and is very quick, discreet and very tidy. I have also used Linda’s expertise to do the floral arrangements for family parties at home and at restaurants. She also did very large flower arrangements and accessories for my husband’s birthday party last year in the Harbour Room at the Royal Melbourne Yacht Squadron. It looked amazing. Linda totally understood the vibe that I was trying to create and I had many compliments from guests and staff at the venue. Every Christmas Linda assembles a Christmas tree for me at home as well as a front door wreath. Each year has been a different design. My family and I get total enjoyment from having a beautiful tree as a centre piece for our living area. I can highly recommend Linda’s skills, personality, enthusiasm and work ethic as a private florist and I am very happy to be contacted if you have any questions or concerns. To everyone at Texas Flower ‘Rangers, just a note to say how much I love coming home on Friday’s to see my apartment full of your gorgeous flower arrangements. Thank you for your professional, discrete, and consistent service.